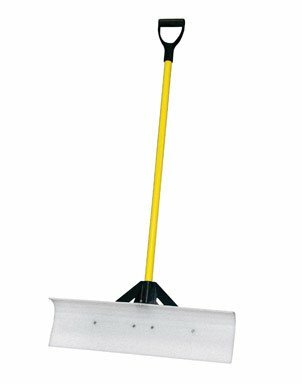 The SnowPlow Snow Pusher is a virtually indestructible, commercial-grade tool for handling anything winter can dish out. The ultra rugged blade with self-sharpening blunt square surface is made of revolutionary UHMW polyethylene to deliver exceptional durability and impact resistance. Use it to push, scrape and even chop. Plus, The SnowPlow Pusher's blade is non-abrasive, making it safe on wood decks, steps, sidewalks and patios. If you have any questions about this product by THE SNOWPLOW, contact us by completing and submitting the form below. If you are looking for a specif part number, please include it with your message.